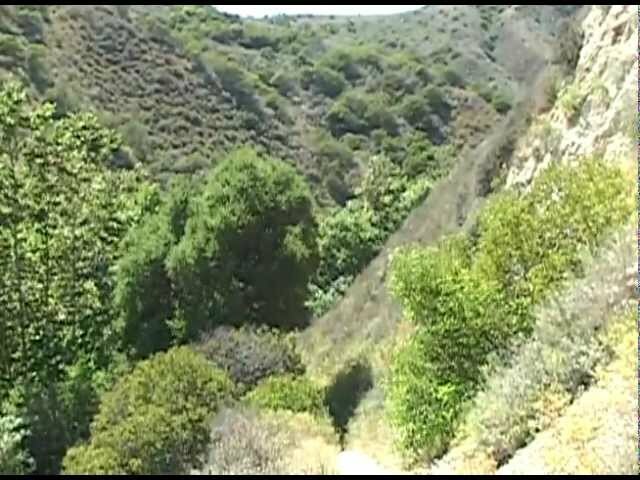 The Sara Wan Trailhead at Corral Canyon Park in Malibu provides easy trail access to regionally significant 1000-acre Corral Canyon Park the 700-acre Cameron Nature Preserve at Puerco Canyon. The trailhead provides parking, picnic areas, restrooms, educational displays, sitting benches, and seasonal access to L.A. County-operated Dan Blocker State Beach. Corral Canyon is the last undeveloped canyon that flows freely to the ocean. A 2.5-mile-long trail climbs through pristine wilderness to the Puerco Canyon watershed divide and provides spectacular ocean and mountain views. It then descends onto an ancient marine terrace with native bunch grasses. Along this route, the hiker passes through coastal sage scrub, coastal bluff native grassland, and the riparian corridor of Corral Creek with its alder, coast live oak, California sycamore, and willow trees. The Puerco Canyon Motorway Connector Trail veers from the Corral Canyon Trail and heads up to the Cameron Nature Preserve at Puerco Canyon and its network of trails and scenic vistas. An MTA bus stop is located at the entrance to the park.